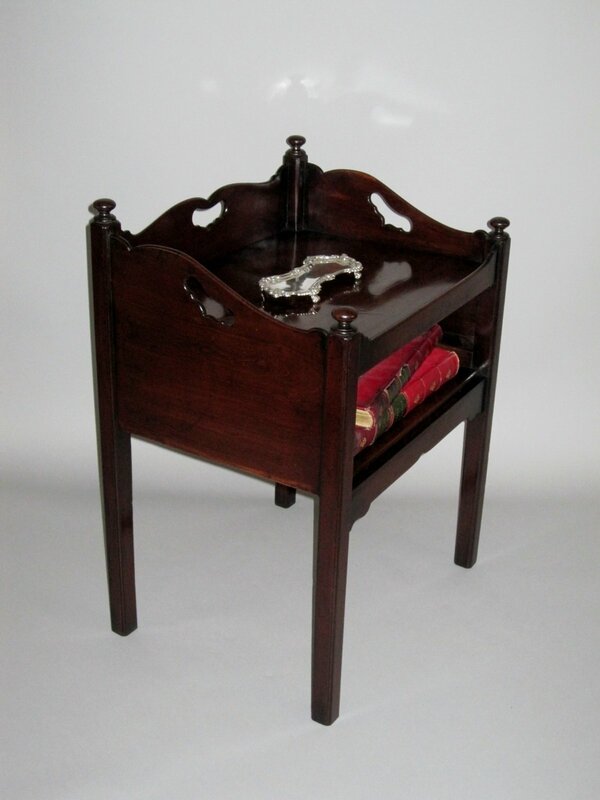 GEORGE III MAHOGANY SIDE TABLE. CIRCA 1775. AN UNUSUAL GEORGE III MAHOGANY TABLE. CIRCA 1775. Of oblong form, the three quarter shaped gallery with cut shaped carrying handles over a tray top and with a shallow shelf under. Raised on four square legs topped with round finials.